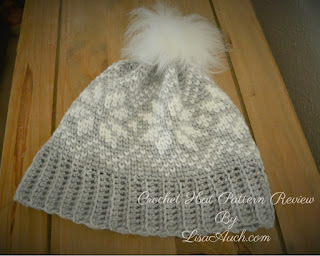 I have made several of these hat patterns for myself friends and family. These cool crochet hats are a winner. The unique Stitch (Waistcoat Stitch SEE Video from Moogly Below) is brilliant as when you go to change colours you just pick up as and when you change colours! the Best bit IS THE pattern is written out so if You NOT into following graphs this is an amazing patter, where all colour and pattern changes are written out. I was SO scared to try not only the Graph stitch but the Waistcoat stitch! Which technically is instead of working into the top Loops created by the previous row or rounds stitch you are working INTO the V created by the previous round or rows stitch. The Faux Fur Pom Pom. 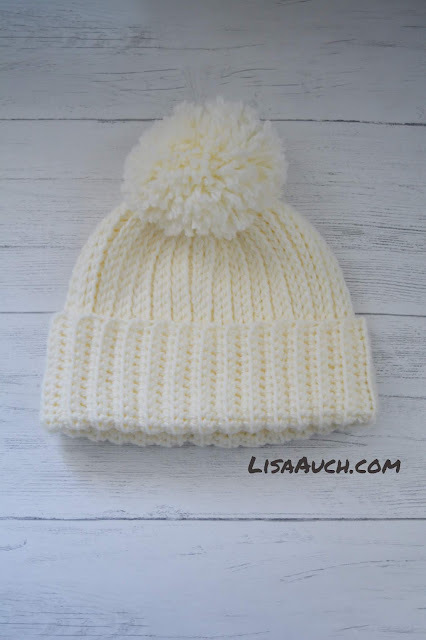 I actually could not find ANY white FAUX FUR pom poms . I know how cool. I went onto Amazon and bought a meter squared of This Luxurious fluffy fabric Perfect to make Pom Poms from. I used a bowl to get an even sized round circle. 3. Working into the BACK of the material as its easier, Sew around the edges and with a little stuffing and pull tight, DO not fasten off yet.